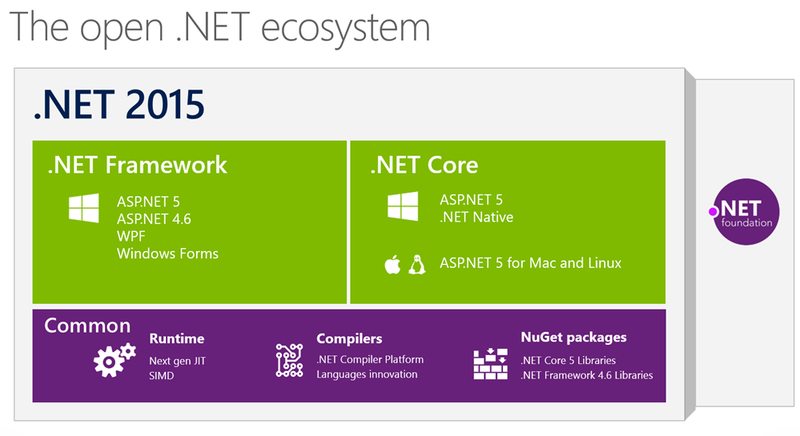 ASP.NET5 Beta 7 is now available which includes native .NET execution environment for Mac and Linux. With this release, Microsoft has completely refactored ASP.NET into a cross-platform, open-source web framework… any app, any platform, any deployment. ASP.NET 5 beta7 is now available both on NuGet and as a tooling update to Visual Studio 2015! This release also includes the first public preview of the .NET Execution Environment (DNX) for Mac and Linux based on .NET Core – no Mono required.